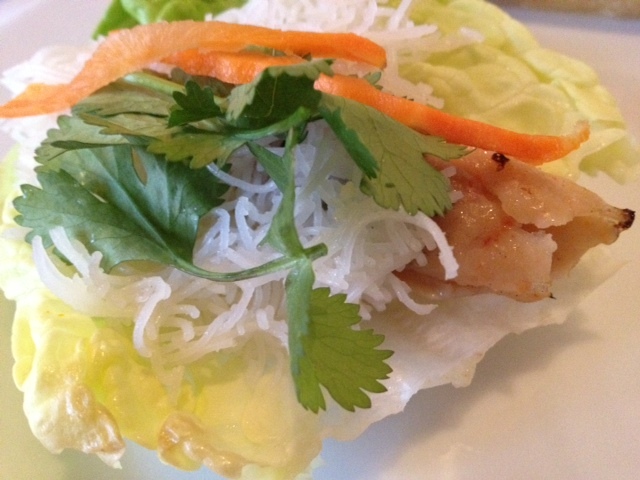 Le Colonial (www.lecolonialchicago.com) is an upscale French-Vietnamese restaurant in Chicago’s posh Gold Coast. I’ve walked by the restaurant a million times and was always curious, so over my holiday vacation last week, Gareth and I decided to have a fancy lunch date there. The service is excellent and the decor is very glamorous and reminiscent of the 1920s. The food is a bit pricey, so I would suggest sharing appetizers and sharing a main course if you want to cut down on the cost. 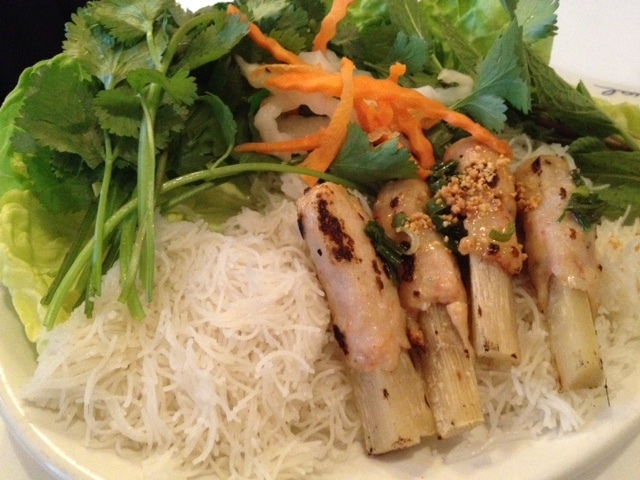 Overall, the food was very fresh and flavorful and I look forward to visiting there again to try new things on the menu! 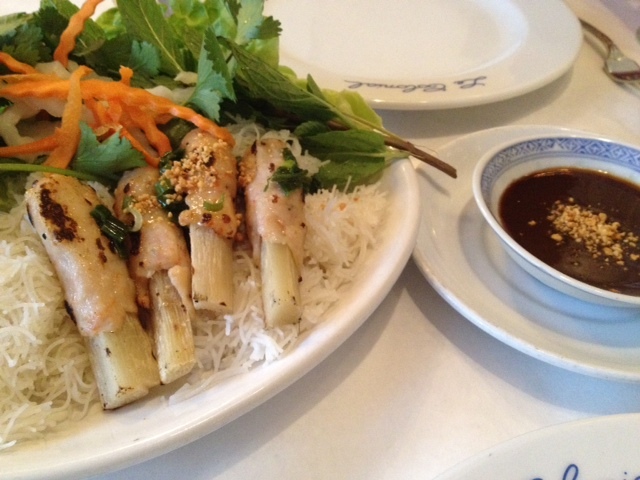 Chao tom: grilled shrimp wrapped around sugar cane with angel-hair noodles, mint, cilantro, lettuce and peanut plum dipping sauce. You remove the shrimp from the sugar cane and assemble these little bites yourself. 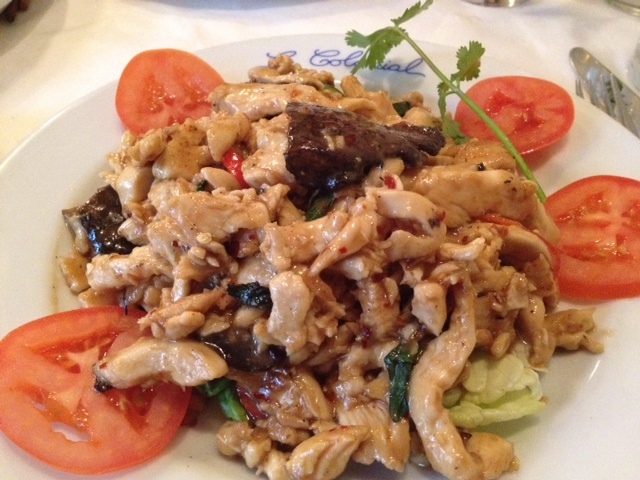 Ga xao xa ot: wok-seared lemongrass chicken breast strips with portobello mushrooms in a basil chili sauce. This chicken was perfectly cooked and had a bit of a kick which I enjoyed! 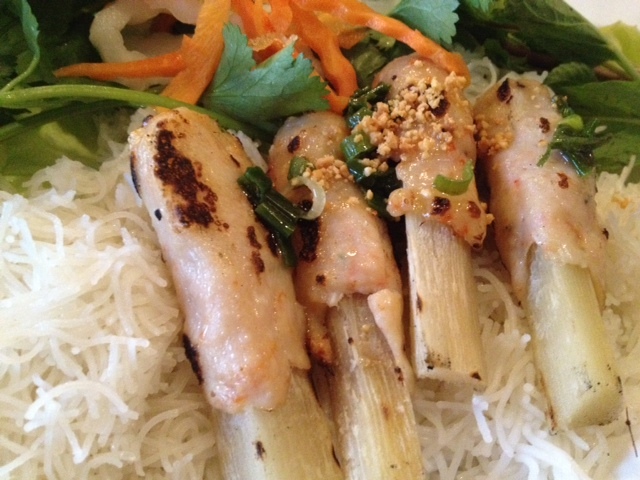 The lemon grass and basil gave it a very fresh flavor. ga xao cari: sautéed diced chicken with Japanese eggplant, mango, yams, string beans and cashew nuts in a yellow curry sauce. 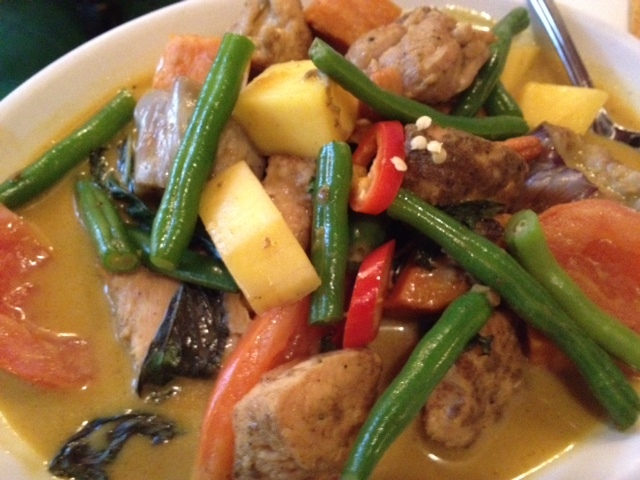 The curry was more subtle and mild but complemented the vegetables and chicken very nicely.